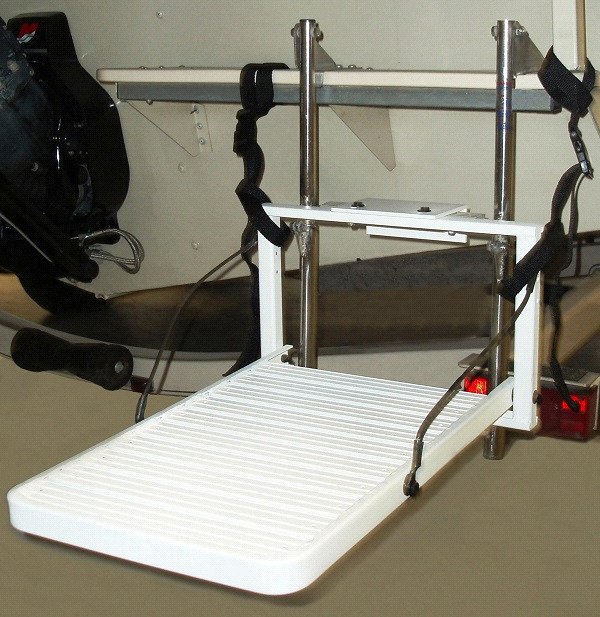 Great Day LP500 Load-a-Pup Pet Step Up Platform for Boats and Watercraft. “Ole Rover” will never again have to sit home alone with a sad face when you head out to the lake! 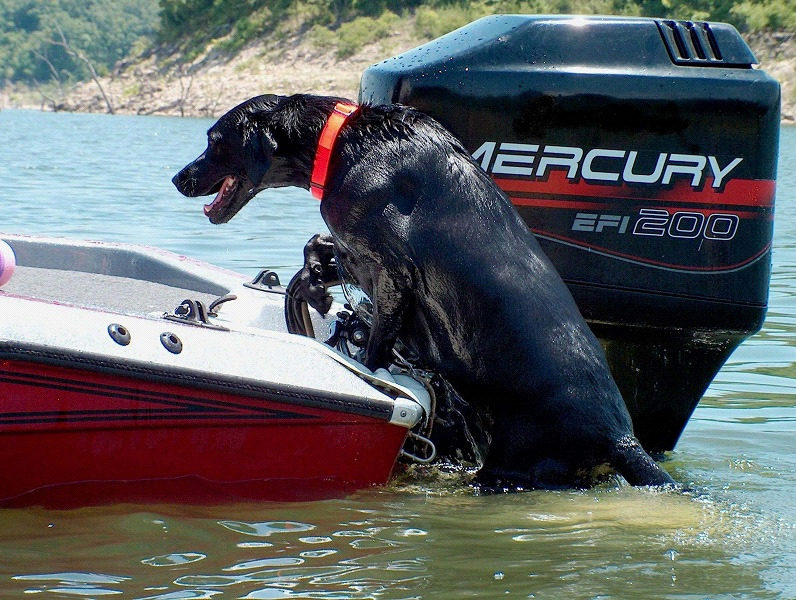 With the Load-A-Pup, you and your dog can enjoy all the fun associated with recreational boating. 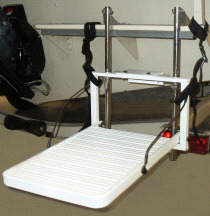 Simply hook the Load-A-Pup to your boat’s boarding ladder and you are ready for action. Your dog can leave and re-enter the boat at will. The great thing is, he does it without any help! No more bending, tugging or straining on a wet ball of fur. The Load-A-Pup platform is constructed of light-weight, aircraft aluminum and includes gripping ridges to insure solid, safe footing as your dog climbs back into the boat after a swim. The Load-A-Pup’s handsome, off-white, powder-coat finish not only complements the factory finish or color of any boat, but will help to insure years of dependable service. The Load-a-Pup fits any boat that has a boarding ladder. It weighs only 7 lbs. and has a generous 14” X 20” platform. It comes complete with security straps, installs in seconds and folds flat for compact storage when not in use. If you have any questions give us a call at (800)355-2956. For use by pets only---Not for people (adults or children).